As a kid I adored the Ewoks and as an adult I now adore the Porgs! 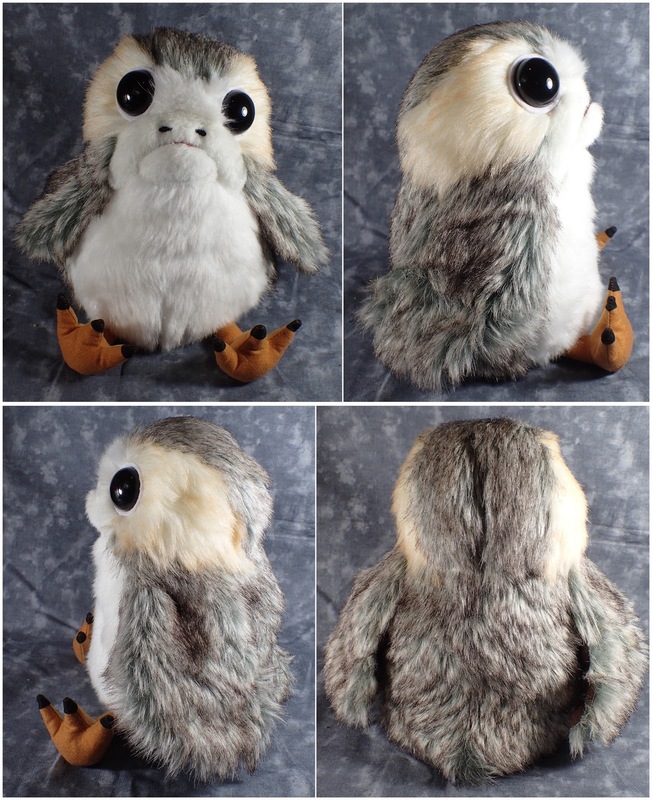 So I just had to get a plush version and although this one is not very cuddly due to the mechanics in it, it was the cutest Porg plush I could find. Although he's not very cuddly he is soft, especially on his tummy where you activate his sounds and movement. He has three settings, Try Me which activates only his war cry, On which allows you to cycle through three different sounds, and of course off. Now I apologise for the video, I totally forgot to pause what I was listening to when I recorded the short clip.